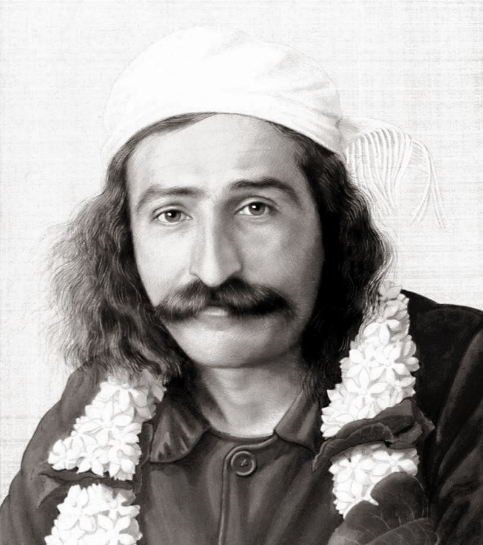 Few Indians know about Meher Baba, known as the Perfect Master, worshiped as 'Avatar Baba' by the Parsi community. His devotees are called 'Baba lovers'. For instance, Bollywood's Shiamak Davar is a very well-known 'Baba lover'. I am not a follower but I have experienced the electrifying love energy that is a pure and pristine extension of his community of followers. Meher Baba was born into a well-to-do family in Pune. He was named Merwan Sheriar Irani by his Irani Zorastrian parents. At the age of 19, he underwent a powerful spiritual transformation that scandalised the Irani and Parsi community. Meher Baba is known to have recieved the divine powers and blessings of 5 great spiritual masters of the time such as Upasni Maharaj and Sai Baba of Shirdi but most significantly, he was closest to another Perfect Master, revered and worshiped as Hazarat Babajaan. His mother Shireen loved him deeply but disapproved of the 'scandal' he caused in their social circles by mixing with Hindu and Muslim spiritual seekers and masters. However, his youngest sister 'Mani' defied their mother Shireen by refusing to marry and she became one of his staunchest disciples. 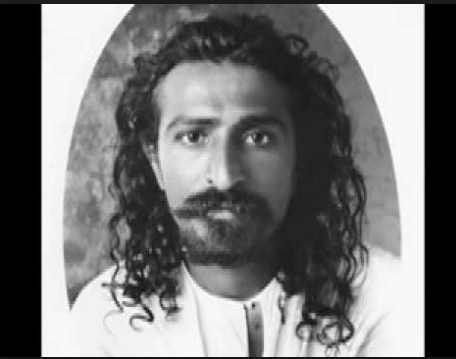 Mani also went through countless spiritual 'tests' under Meher Baba and received no 'special' treatment in the ashram he founded. In fact, she underwent more pain and hardships than most of the others in the ashram. Now, I want to share my 'connection' with Meher Baba. It came from a 'fleeting' vision. One day during meditation some years ago, I had an unusual vision and trust me, I was not falling asleep during meditation. A handsome man appeared with sparkling eyes, a black moustache and a melting smile. His skin seemed to be full of light, as though dappled with the radiance of sandalwood. His eyes seemed to hold mine. Who knows....maybe we have an 'Irani' connection somewhere? I bowed my head, my hands folded in Namaste and said something very quietly, a secret mantra from my heart. He vanished. It was my first and last glimpse of Meher Baba. It led me to question - What is real and unreal in meditation? The lines blur easily. I have no answers, but the spiritual realm is full of interesting and confusing examples. Himalayan masters have written extensive accounts of Maha Avatar Babaji appearing through 'visions' during meditation. Read Sri Paramanhansa Yoganananda's 'Man's Eternal Quest', the books on Swami Rama, Sri M and others. If you read up about the life and teachings of Sri Ramakrishna, you will also read that many different facets of the Goddess had manifested before Him as 'vision' in meditation. American spiritual thinker Ram Dass has also written extensively on the subject of visions during meditation. Lest we forget, the resurrection of Jesus Christ was based on a vision that was interpreted and communicated to the rest of the world by his 'chosen' disciples. The 'Holy Books' of most religions are based on the visions and messages received by their community's spiritual masters who interpreted it in their own way and later ascribed it as the ultimate and final experience of the Almighty. In a sense, a 'vision' is a form of communication, which can be interpreted by the person who receive it in anyway - the danger lies in misusing it. Aarti Raheja's heart-wrenching memoir, 'Where One is Not a Number' turned out to be a most beautiful experience. I gifted 3 copies of the book to loved ones who were going through relationship crises. At the start of 2018, a real surprise awaited me at the official bookstore of Meher Baba's publications at the International Book Fair in New Delhi. I had never expected to see them at the Book Fair. But what took me totally by surprise was the sheer energy and incredible love energy the group of women radiated. I felt as though I had stepped into a heaven of love. At the book stall, 'Baba lovers' told me that the most candid account of Meher Baba's life has been documented in a 3 part volume by David Fenster. Of course, I bought the 3 volumes. I am still reading Volume 1, traveling with Mehera-Meher's divine love story - an unusual journey of truly deep love. Love does strange things to you. It opens up magical channels of powerful energies that no one else can see or feel but yourself. The power of love is what makes Perfect Masters work their magic in the Universe long after they shed their mortal bodies. I'm still enjoying the book, Baba lovers!